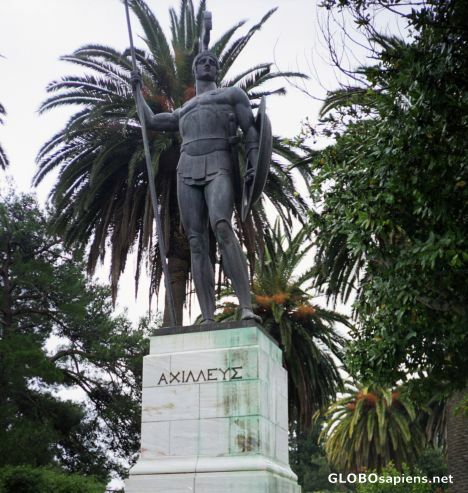 Achilles as guardian of the palace in the gardens of the Achilleion. He gazes northward, toward the city. It was commissioned by Kaiser Wilhelm II.